The Cleveland Clinic isn't a partisan organization, but it took advantage of the Republican National Convention to drive coverage. 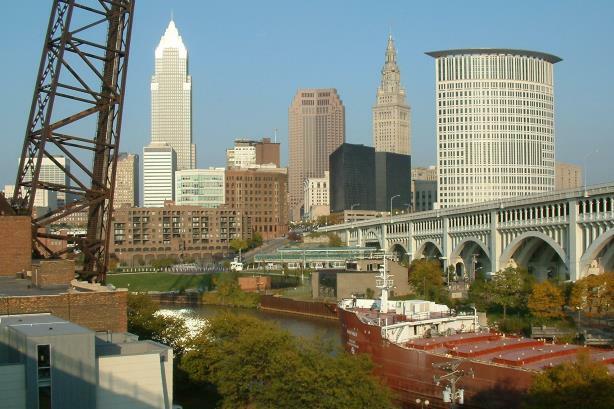 A view of downtown Cleveland, Ohio. (Image via Wikimedia Commons, CC BY-SA 2.5). Cleveland is still glowing with pride after the Cleveland Cavaliers won the NBA championship and hosted a successful Republican National Convention downtown last month. Nearly 50,000 people and 15,000 reporters came to town to participate in the convention, protest their causes, police the streets, and be a part of history in our city. It helped that millions of dollars were put into downtown improvements, the weather was great, and the crowds were friendly. To sum it up, The Washington Post said that although riots were expected in Cleveland, it was more like a block party. What does that have to do with healthcare? Cleveland Clinic, as the city's largest employer, in-part sponsored the host committee's efforts to secure the RNC in Cleveland. Once confirmed, we quickly turned our focus on how to get healthcare and Cleveland Clinic into the spotlight with key influencers and the media. The PR team partnered with our government relations staff, event marketing team, and leadership to propose strategies that would help us accomplish that. We wanted to take advantage of earned, paid, and owned media and focused on four major strategies – traditional media and social, sponsored events, thought leadership and influencers, and emergency preparedness. First, we worked to identify and connect with political reporters who were coming to Cleveland. Reaching out in advance allowed us to connect and gauge their interest in covering healthcare when they were in town, resulting in more than 500 strongly favorable news stories that included Cleveland Clinic, focusing on various aspects of healthcare. Second, we participated in 17 events over four days including two media sponsored health forums where a panel of experts talked about healthcare issues impacting the future. Each forum was moderated by a reporter and we partnered with Bloomberg for one event and The Washington Post for the other. Other journalists were invited to cover the discussions, and we used social media strategies to get our messages out. In addition, we issued 400 credentials to our board members and executive staff to increase our visual presence at the various events to further our story. Third, we participated in other events that provided a forum for our thought leadership with our CEO, executives, and elected officials to share their views on the high costs of cancer drugs, technology in healthcare, the Affordable Care Act, and more. House Speaker Paul Ryan (R-WI) visited our hospital to discuss healthcare and learn about Cleveland Clinic and more than 160 visiting VIPs toured our main campus during the week. Finally, we were involved in a great deal of work and collaboration with the city and other hospitals related to emergency preparedness and staffing medical tents to prepare for any incidents. We treated nearly 300 visitors with minor injuries and illnesses, and were prepared to open 1,000 hospital beds in the event of a violent incident. In addition to media interviews, we created a video that we pushed out through social channels and to the media a message about "keeping the peace" throughout the week as thousands of visitors came to Cleveland. Cleveland Clinic’s strategy has been to remain politically neutral over the years and careful not to endorse any political candidate or policy. Instead, our messaging focuses on how we are working hard to make healthcare more accessible, affordable, and high-quality for patients. Healthcare affects 100% of the population at some point in time. It’s an important topic that we continue to talk about and influence change, while the media will continue to cover it.